Rustic and earthy is the way I would describe this dish. 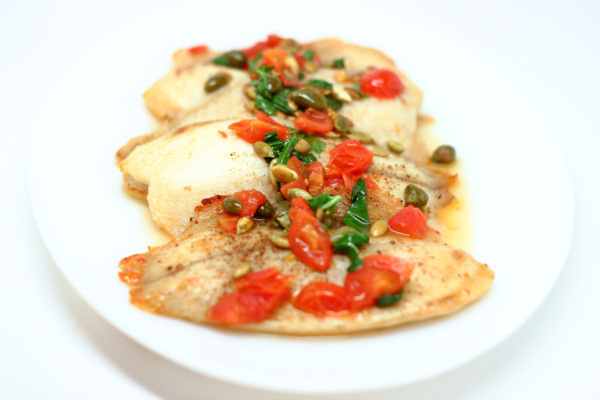 The pepitas, capers and tomatoes just make this dish what it is – very special. This would be a great meal to make for guests. Toast the pepitas very briefly (do not let them brown) in a hot skillet. Remove and set aside. Preheat broiler. Sprinkle fish with salt and pepper and spray a baking sheet with Pam. Broil fish 3-4 minutes.. Heat oil and butter on medium heat and saute tomatoes and capers 2 minutes. Add lemon and wine and simmer 1 minute. Add fish (browned side up) and baste with sauce. Remove fish to a plate. Add basil, pepitas, salt and pepper to pan and saute 30 seconds. Spoon over fish and serve immediately. 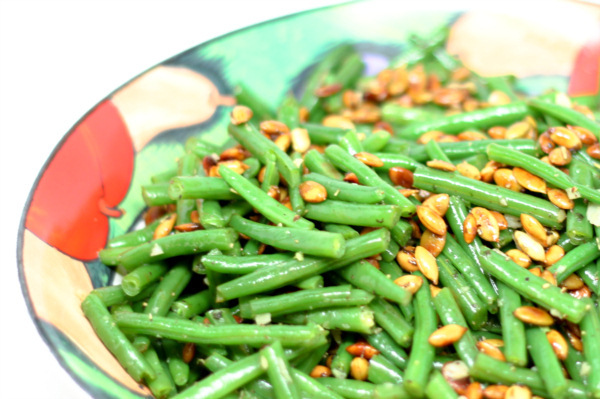 This is one of THE best veggie side dishes I have made in a long time. 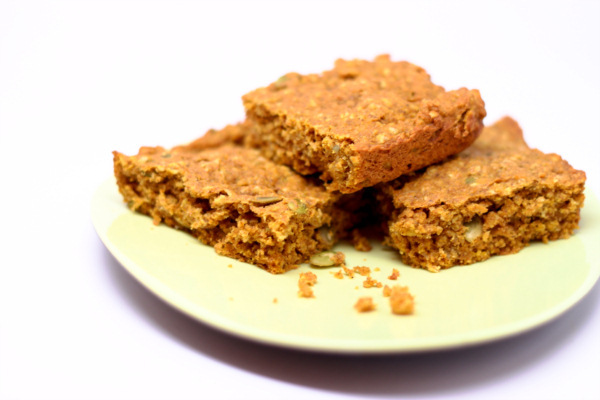 I bought a bunch of pepitas to make them for snacks and then came up with some other great ways to use them – this is one of the best ! 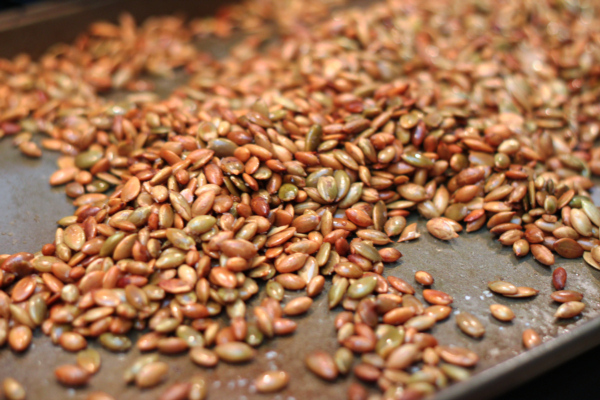 The flavor and texture of the pepitas goes so well with the beans and the very simple seasoning. This is a special one ! Boil water and add some regular salt and cook beans 5 minutes. Drain and rinse with cool water then cut them into 1 inch pieces. Heat 1 T oil in a skillet. Saute pepitas until they start to brown and pop, about 5 minutes. Sprinkle with salt and pepper and remove to a bowl. Heat the rest of the oil and cook garlic and rosemary 30 seconds. Add beans and pepitas and cook 2 minutes to heat through. Sprinkle with salt and pepper.